Seminar Leaders for this group are Sylvester A. Johnson and Sally M. Promey. Seminar Leaders for this group are Laurie Maffly-Kipp and Douglas Winiarski. They met in Indianapolis onfour occasions: September 17-21, 2014; April 15-19, 2015; October 14-18, 2015; and April 13-17, 2016. Seminar Leaders for this group are Courtney Bender and Robert Orsi. 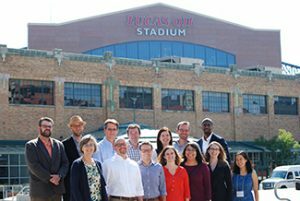 The group met in Indianapolis on four occasions: September 25-29, 2013; April 2-6, 2014; September 17-21, 2014; and April 15-19, 2015. 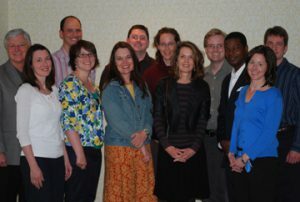 These twelve scholars, with seminar leaders Ann B. Braude and Mark Valeri, met in Indianapolis on five occasions: October 14-17, 2010; April 28-May 1 and October 13-16, 2011; and April 26-29 and October 11-14, 2012. 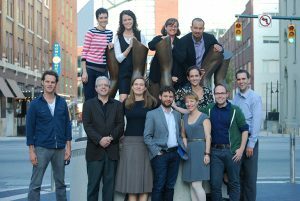 The third phase of the Young Scholars in American Religion program was expanded to include sections geared toward historians, sociologists, and seminary professors, in addition to scholars in religious studies departments. 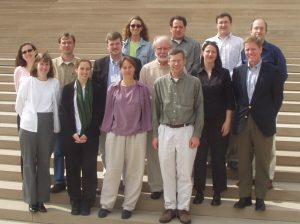 Seminars were held in Indianapolis, at Duke University Divinity School, at the University of California at Santa Barbara, and at the Cushwa Center at the University of Notre Dame. 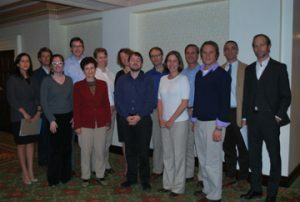 Senior scholars Deborah Dash Moore,Vassar College, Grant Wacker, Duke University Divinity School, Wade Clark Roof, University of California Santa Barbara, and Philip Gleason, University of Notre Dame, led the seminars. 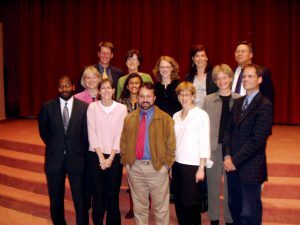 Ten young scholars selected from over 70 applicants were selected for the 2 year program begun in 1994. Professor Harry Stout of Yale University conducted the seminars on teaching the introductory course, while Dean John Wilson of Princeton University was selected to lead the seminars on research and publication. 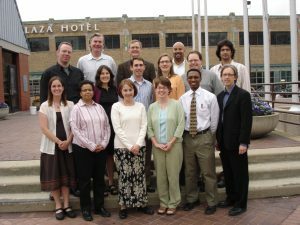 Beginning in 1991, fifteen young scholars from across the nation, selected from over 100 applicants, convened in Indianapolis for four two-day seminars. Two of the seminars were devoted to teaching the introductory course in American religion, and two were devoted to the enhancement of research and publication. 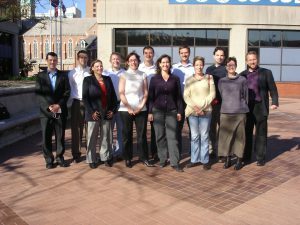 Professor Catherine Albanese of the University of California, Santa Barbara served as the director of the seminars on teaching. Professor William Hutchison of the Harvard Divinity School led the seminars on research and publication.